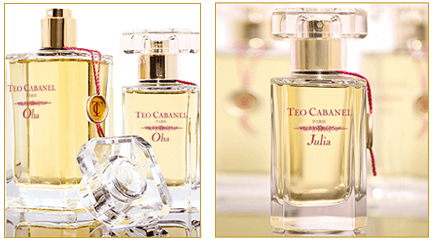 Téo Cabanel is dedicated to luxurious perfume creations. Our sincere apologies to fans of ubiquitous sugar-coated, celebrity-stamped scents, but Téo is for adults who appreciate and revel in unabashedly gorgeous French perfume. Originally founded in the late 1800s in Algiers …this luxury line of perfume was brought back to life by the creator’s daughter in 2005. True fragrance aficionados will appreciate the originality, complexity and depth of each unique creation. Come in and take a whiff…you’ll fall in love with French perfume all over again. You are currently browsing the miomia's musings : miomia apothecary blog | shopmiomia.com blog archives for May, 2007.